I am writing to express my concern with changes to the Wisconsin Administrative Code which are specifically written to further quash free speech and dissent in the Wisconsin Capitol building. 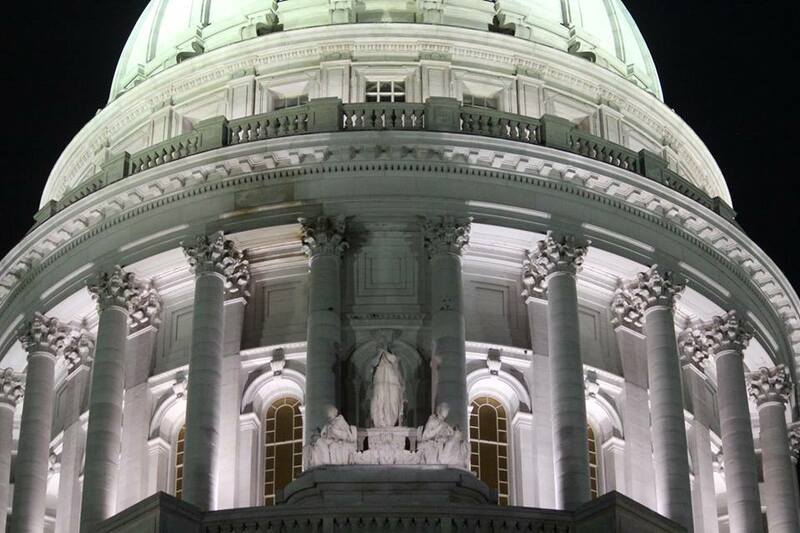 The Capitol of Wisconsin has a history as a public forum and as a meeting place for citizens of the state. It is really our state’s town square, where anyone has historically been able to come and freely express their pleasure or displeasure at the actions of Wisconsin’s legislators. Those legislators are not our masters. They are elected by the people to represent the people. Likewise, bureaucrats who serve the government, while not elected by the people, are also there to serve the people. For the past two years or so the Department of Administration has not served the people of Wisconsin. It has served the Governor and his administration. Governors will come and go but the people will still be here long after the current governor is gone. The Department of Administration and the government of Wisconsin must be beholden to the best interests of her citizens at all times. The proposed changes to these rules do no justice to the Badger state’s citizens. They only serve to protect the administration. One has to ask what the Governor and the Department of Administration are afraid of with their continued attempts to redefine and refine rules regarding Capitol access. Protests occur when citizens’ interests are ignored by the government. Demonstrations against certain bills may not result in those bills being defeated, but the people’s voices must be heard. A government that does not listen to its people is not a democracy at all, regardless of how many times the word is uttered or how many flags are flown in pride or how many jingoistic phrases are tossed about by those in power. It is fascism at worst and contempt at best. A government that has contempt for its people is not a representative government at all. Wisconsin’s people are its best resource. We are more valuable than the frac sand that is being torn from the land in western Wisconsin or the ore that Gogebic Taconite wants to take from ancient lands for profit. We are culturally diverse and of varying opinions and all of those opinions have value and deserve to be heard, whether the Governor agrees with them or not, whether I agree with them or not. The Capitol is our building. It does not belong to the party currently in power, or to any other party. It does not belong to the lobbyists who spend so much time and so many dollars to have better access than most of the people whose taxes pay for the building. It belongs to the people. We will not give up ownership easily. 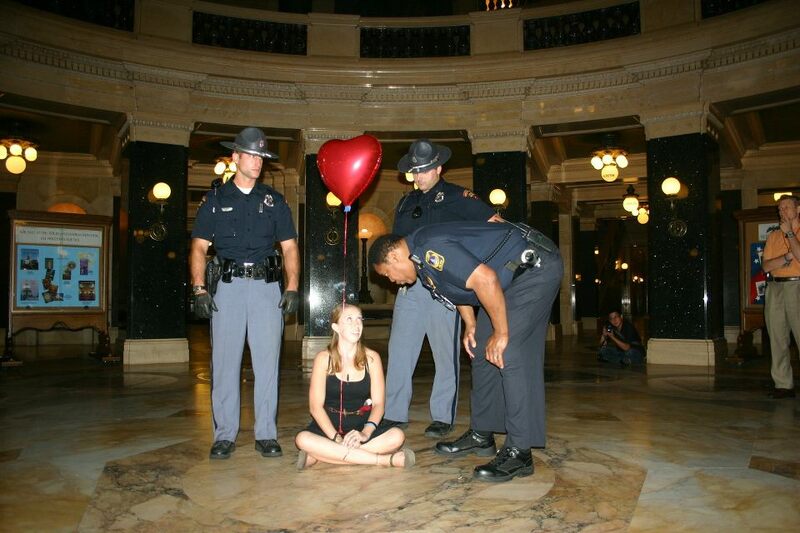 We are Wisconsin and we will not be silenced regardless of how many times the administration rewrites the rules. Wisconsin has historically been a leader, not a follower. We created the first unemployment compensation laws. We created the first highway numbering system. We voted first for equal rights. We were the first state in the union to pass a gay rights law. We did not look to see if Illinois, Michigan, Minnesota, Iowa or any other states were doing these things. We led the nation. To defend changing the historical usage and freedom of our own Capitol by comparing your proposed rules to what surrounding states are doing is insulting and shows how little regard the administration has for its citizens. We don’t care how the nation’s Capitol does or does not allow demonstrations. We don’t care what other states allow. Wisconsin has always encouraged its citizens to participate fully in its government and to freely express our opinions. Regardless of how you try to change access we will be heard. We may not be listened to, but we will be heard. I urge you to reconsider any changes to the rules that are intended to limit speech in our Capitol. I applaud changes such as adding sexual orientation to protected classes. Instead of new rules that limit access I encourage you to expand freedoms in the Capitol building. Both the Constitution of the United States and of Wisconsin proclaim the freedom of speech and neither qualify that freedom with rules and administrative bureaucracy about permits. The more you allow the citizens the freedom to fully express what is on our minds the less you have to fear because any of us, of any political stripe, who have a mind to speak are doing so out of a deep and passionate love for this state. My ancestors settled in my hometown in southwestern Wisconsin in 1827. My blood runs deep in the soil here. I have only the best interests of my state and its people in mind when I choose to express myself in the Capitol. Wisconsin Capitol at night. Photo by Callen Harty. If you limit my speech you are doing a disservice to all citizens, including yourselves when you will ultimately be on the minority side of political discourse. The political pendulum will swing as it has so often, whether you like it or not, and the rules you pass now may ultimately prevent you from the ability to speak when you disagree with the government in the future. Please know that at that time I will still stand up for you and still encourage the broadest, most open, and accessible Capitol and government that we can have. If you were looking out for the best interests of all of Wisconsin’s citizens you would do the same now.